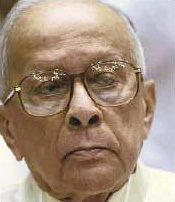 Jyoti basu, the cpi(m) stalwart who served as West Bengal chief minister for 23 years, never gave long speeches on environment. But his deeds spoke louder than words. Many of the steps he took to protect the environment served as the model. He was given a high ranking among chief ministers surveyed for green credentials by the Centre for Science and Environment, a Delhi non-profit, in 1999. He passed away on January 17 at 96. Jyotibabu was popular among the poor because of the the land reforms he ushered in. He gave pattas (land deeds) to marginalized farmers. Over two million landless families were given land during his tenure. Jyotibabu, as he is fondly called, gave teeth to the state pollution control board (spcb) and made it an effective tool of governance. The state’s efforts to control noise pollution in the late 1990s would not have been possible without his support, said Biswajit Mukherjee, chief law officer of West Bengal. After the high court directed the state to curb noise pollution in 1996, he gave full administrative support to the pollution control board to implement the orders. He was deaf to protests by religious groups and politicians against curbs on noise levels. The high court directive and its implementation in Kolkata were used as the benchmark when the Centre notified national noise control norms in 2000. “Jyotibabu’s greatest contribution in environmental administration was his non-interference. In fact, when any organization or politician complained, he would ask us to call the complainant for discussion but gave us a free hand to act. He used to say chaliye jaan (go ahead),” said Deb Kumar Bose, former chairperson of spcb. Environmental activist Subhash Datta said Jyotibabu never tried to frustrate judicial verdicts on environment.